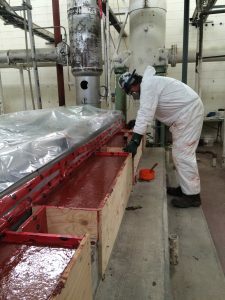 Grouting | Gunther Construction Ltd.
With much of our work taking place on the chemical plants in and around Fort Saskatchewan, we have become very familiar with multiples types of grout. Each product is specially designed to meet a specific need. We have the knowledge and the know how to recommend and use the right product for the job.